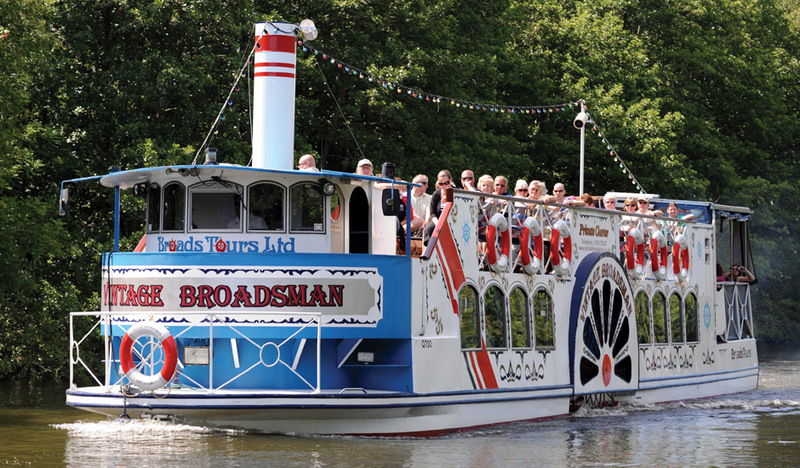 The Vintage Broadsman has been a firm favourite with our visitors since she was launched in 1988. 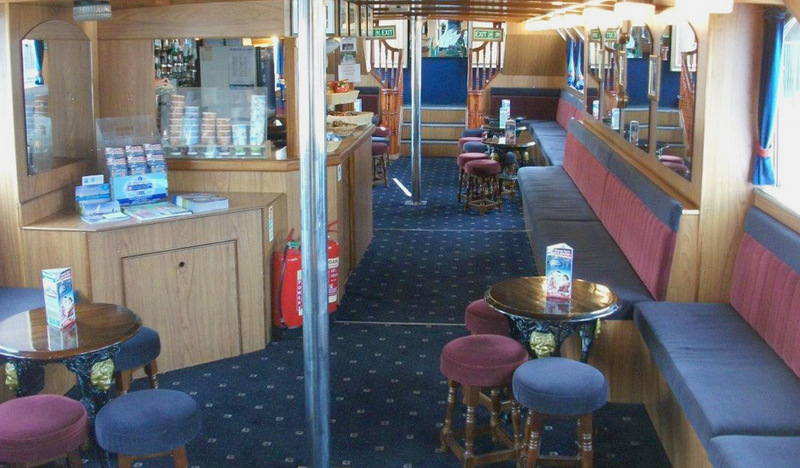 The interior saloon has very comfortable upholstered bench and stool seating around 10 circular tables. The open top deck with bench style seating is great for sightseeing and for enjoying the sunshine too. The aft deck has bench style seating with upholstered cushions. 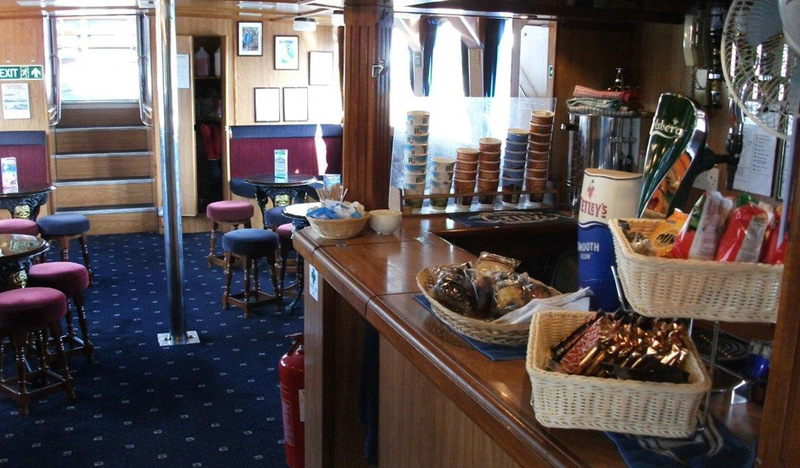 The ladies and gents toilets can be found on the aft deck and the bar is in the lower section.